2019 Volunteer registration will open July 15. 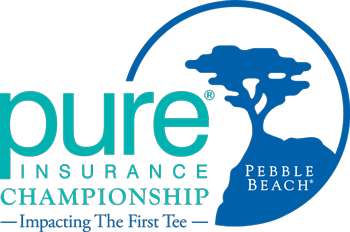 From how to sign up to where to park, learn more about what’s in store for your PURE Insurance Championship volunteer experience. Review the list of positions. Volunteer registration opens July 15, 2019. At that time you may click on the volunteer registration link on the left side of this page. You will receive an email confirmation once you complete the registration process. How do I sign up to be a volunteer if I volunteered last year? Once registration opens on July 15th, 2019 you will receive an email with your log in information and the link to the registration site. Volunteers will park in the lot on Stevenson Road in Pebble Beach all week. Uniforms are required and consist of a tournament logo polo shirt, logo jacket and either a hat or visor. Uniform sizes are selected when you register. All uniforms are distributed at the tournament. No uniform items are sent to you. Details about uniform distribution will be in the tournament handbook, which will be posted online in August. How do I know if the weather is going to impact my shift? In the event of inclement weather before your shift time, you can call 831-649-1533 to check updated information and report times. What is the tournament's Alcohol Policy as it relates to volunteers? The consumption of alcoholic beverages before or during volunteer shifts is not permitted. Can I ask my favorite player for an autograph? Volunteers are not allowed to ask players for a photo or their autograph at any time while in uniform. The safety of volunteers is our number 1 priority. We ask that all volunteers review the PGA TOUR’s Cart Safety Video.